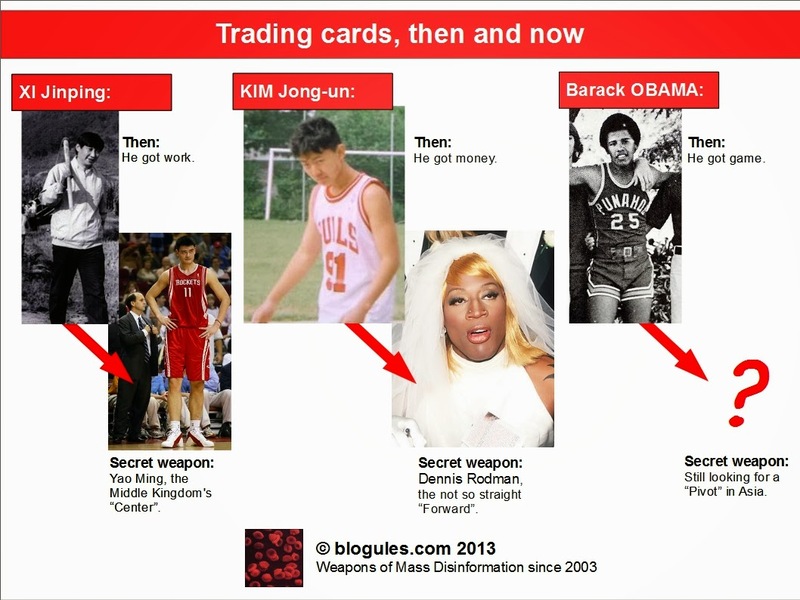 XI Jinping, KIM Jong-un, Barack Obama then and now. Secret weapon: Yao Ming, the Middle Kingdom's "Center". 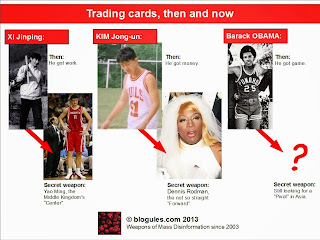 Secret weapon: Dennis Rodman, the not so straight "Forward". Secret weapon: Still looking for a "Pivot" in Asia.